Lust in #TheDaysAfterThatNight: He was on a suicide mission. To kill his marriage vows. Control in #TheDaysAfterThatNight: His words amazed Oyinemi. For a man like him to not touch a woman in fourteen years? When Ijaw women battle, even their men stand aside. In The Days After that Night, three Ijaw women, Tonbra, Mama and Oyinemi, collide to shape the future of one man. The night Ebisine Francis George died a string of events that will shape the lives of his widow, Tonbra, and every one she comes in contact with was set in motion. Can a man like Dinipre Brisibe consider polygamy? A deacon without guile, married to a perfect woman, with a perfect family life? Yet, Dini finds himself in love with a woman he wasn’t married to. Mama lived all of her life for her children. After the death of her husband, she continued to hold a strong bond in the family. Now her first son marries against her wishes, and Mama will stop at nothing to make sure her son gets his due. Oyinemi just wanted to do the right thing, and show gratitude for the benefits she otherwise may not have gotten, but a demand on her womanhood will drive her morals to an extreme. Can she willingly compromise her conscience? 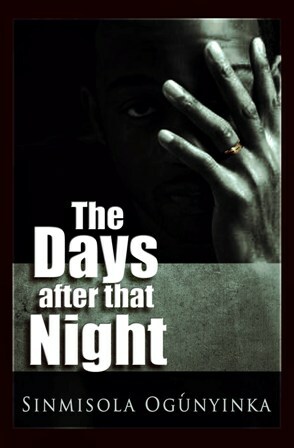 The days after that night are full of conflict, deception, betrayal, loyalty, high suspense, and emotional tension.